This gorgeous, exclusive, limited-time bundle is available to order from August 2nd to 31st, or while supplies last. I have been spending a fair bit of time playing with this bundle and I can't get over just how versatile it is. It really is a set for any occasion and season. 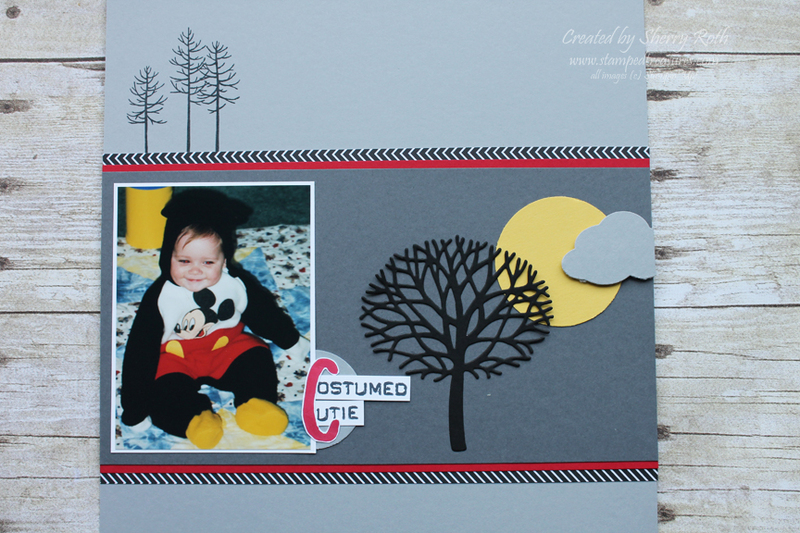 Looking at the bundle, it doesn't scream Halloween but by cutting that cute tree from black cardstock and adding a moon and clouds - you've got a cute Halloween themed project! I was inspired by Brian King's Halloween card. When you're looking for inspiration, it doesn't need to come from another layout, it can come from anywhere. If something catches your eye, think about what it is that you like about it and try to use that on your next page. Inspiration can come from a magazine add, flyer, billboard, catalogue, pretty much anywhere. I love to take cards that I like and turn them into a layout. If you aren't a card maker but are on Pinterest, I encourage you to check out the cards because there are so many ideas for layouts or even accents on a scrapbook page! One of the things I like to do in my albums is switch up page sizes so I have a lot of variety. 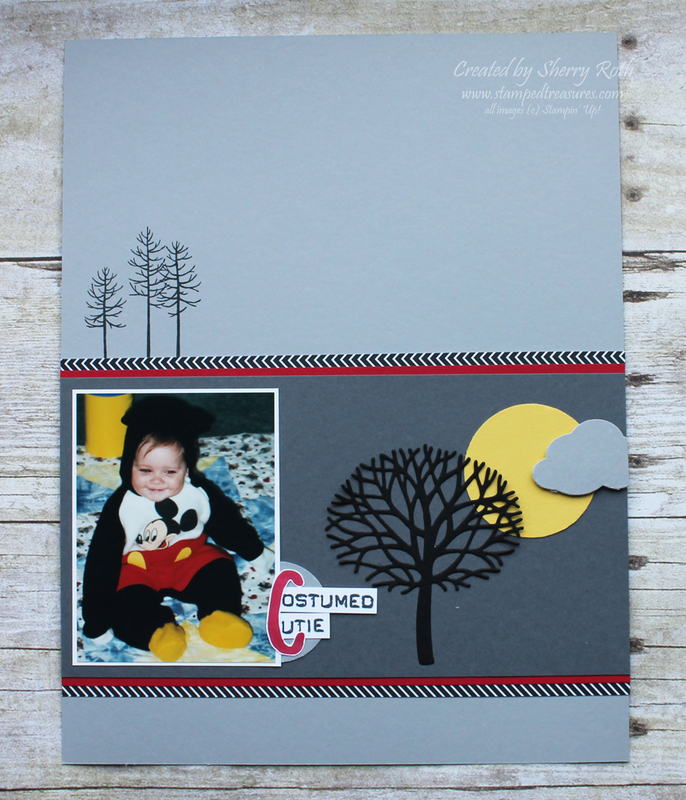 This particular layout is 8-1/2x11 and will get put right in with the rest of my daughters first year pages. I find by switching up the page sizes, it gives you a bit more versatility. Some people like having everything all the same and that's ok too. That's what is so great about memory keeping, there really is no right or wrong way to do it! 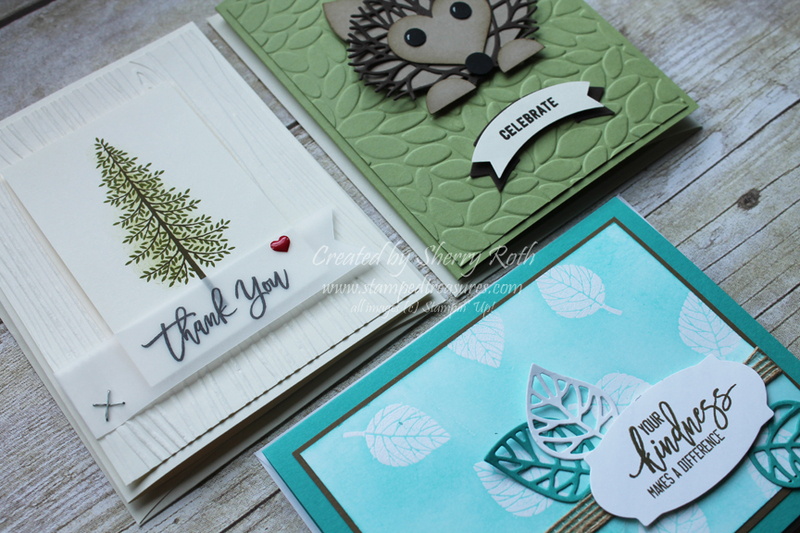 Want a peak at some more Thoughtful Branches projects? 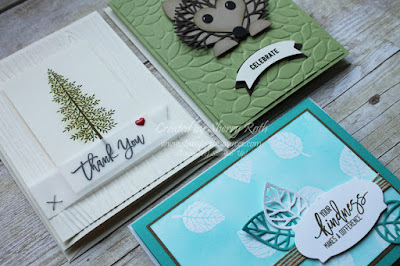 We will be creating 3 cards using this exclusive bundle and I'll have lots of other projects to inspire you. Class fee is $15 or free with a minimum purchase. Please bring all types of adhesive to class. Can't attend the class - ask for it to go. The to go kit will include all pre-cut, punched and embossed supplies (nothing will be stamped). All you need to do is add the stamps and ink. Registration deadline, for both the to go and in person options, is Monday August 8th. Want to order your own Thoughtful Branches bundle? 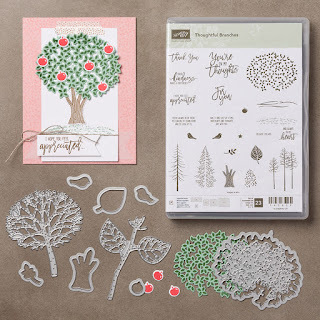 Order your Thoughtful Branches bundle today!